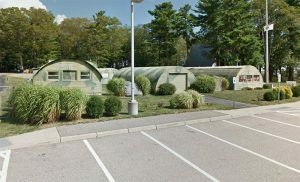 Quonsets were first designed as storage buildings to be used by the military and to this day they're still one of the most dependable storage options available. 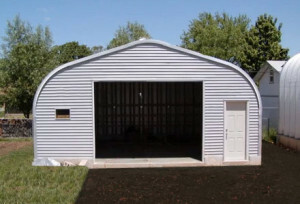 One of the best features of a quonset storage building over a traditional wood framed one is that there's no need for interior support posts, or rafters. This offers a lot more open space and ceiling height within the building. 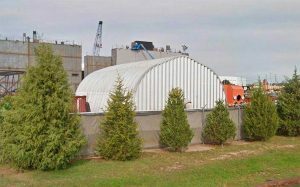 Why Choose a Quonset Storage Building? Steel quonsets are also preferable to wood framed storage buildings due to their inability to rot, sustain mold, or be infested by termites. This makes them much less likely to spread these devastating conditions to the material being stored. 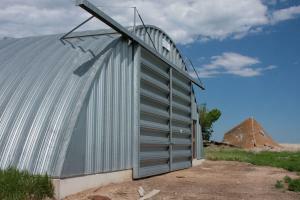 Each quonset storage building is customized to meet the size requirements of it's owner. Whether you're looking for a small 12x14 shed, or a 100x100 warehouse, we can design a quonset to meet your size requirements and ensure you get the space you need.